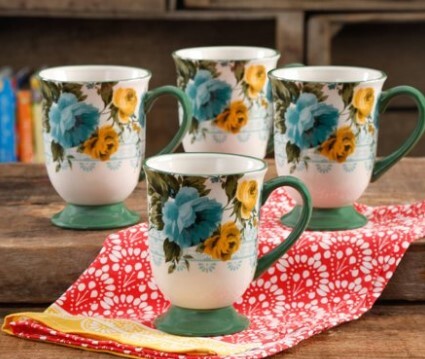 Walmart has The Pioneer Woman 18-Ounce Latte Mug Set, Set of 4 for $9.99 (Reg $17). Choose in-store pickup to save on shipping charges. Made of durable stoneware, the 18-oz mug set is both dishwasher- and microwave-safe.